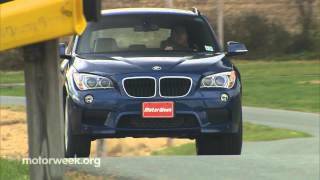 Although the BMW X1 has been produced and sold in Europe since its debuted back in 2009, BMW hasn't managed to use this time to bring the X1 to the US shores. However, things are about to change and during this year's New York Auto Show the US version of the BMW X1 made its highly anticipated debut. Furthermore, the US BMW X1 will come with an exclusive engine variant in order to make the crossover more appealing, and has also undergone a few changes concerning its design. 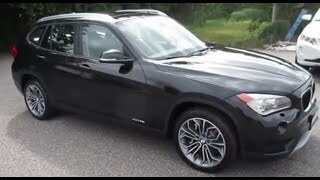 The BMW X1 2013 will come with two engine versions, the 2.0 liter four-cylinder turbocharged engine able to produce 240 horsepower, and the US exclusive 3.0 liter six-cylinder turbocharged engine able to produce 300 horsepower. The 2.0 liter variant can be either an sDrive28i which sends its power to the rear-wheels, or an xDrive28i which benefits from an all-wheel drive. The 3.0 liter comes only as an xDrive35i thus the beefier variant will also be exclusively an all-wheel drive crossover. The exterior received a few modifications as well in order to keep the styling up to date with the current demands. 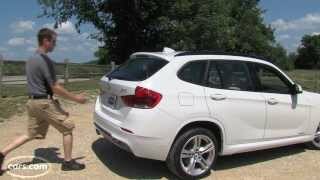 The BMW X1 2013 received a mild facelift and a few other minor enhancements including an LED package and more paint options, but overall the US BMW X1 2013 doesn't differentiate itself greatly from the previous models launched on the European market. On the interior the BMW X1 2013 received a few chrome touches and has been built using higher-quality materials and the iDrive interface alongside the automatic transmission joystick is included but again, the design is pretty much the same as the one found on earlier models. 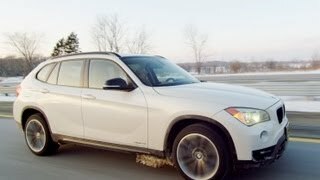 As far as availability goes the BMW X1 2013 will be made available on the US market sometime later this year at the price of $33,245 for the xDrive28i variant, and $39,345 xDrive35i variant. Some optional extras will most than likely be available once it hits the market, but BMW hasn't revealed anything of the sort just yet. As for BMW X1's key competitors, first and foremost we need to keep in mind that the X1 measures only 175 inches in length, so the X1 is basically BMW's smallest crossover and is undeniably slightly smaller than its competitors as well. Although slightly larger, the 2013 Mercedes-Benz GLK-Class costs roughly $35,900 for a two-wheel drive base model, the 2012 Audi Q5 base model costs $35,600 and the 2012 Infiniti EX35 base model will set you back $35,600. Bottom line is, the BMW X1 is slightly smaller than its competitors, slightly cheaper, but unfortunately it's not a better looking one.